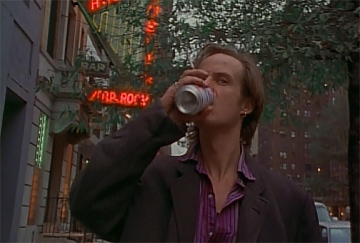 “Let this post serve as an informal award for the most underappreciated Master of Horror: Larry Fessenden. When I was making my list of films to include in my Advent of Atrocities, films either directed by or starring Larry Fessenden were taking up a lot of real estate. It was damned nigh impossible to choose between them, so I decided to lump them all together. 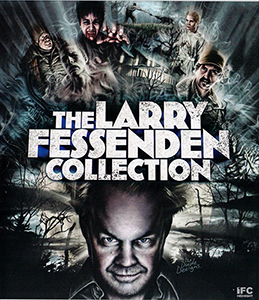 So here’s you’re gift for the 6th day of Christmas: the magesty that is Larry Fessenden. That’s right, he’s the sleazy neighbor who gets killed at the beginning of You’re Next! But Dear Gods if that all you know him as, you’re missing out. 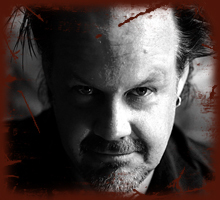 Let’s go through a brief list of Fessenden’s horror credentials. This is why I call him the patron Saint of Horror. He’s produced most of Ti West’s best work, Jim Mickle’s best film to date, and a slew of other horror titles that proves his dedication to the genre. The actual list is much longer, but I only included the horror titles. He also produces all kinds of indie films, Wendy and Lucy particularly stands out. The point is: this man is knee-deep in blood and guts, yet he’s not a big name. 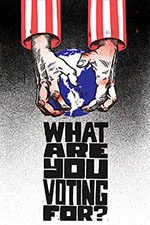 Perhaps that is by design. As the founder of Glass Eye Pix, his philosophy of filmmaking is that you don’t need a massive budget or big star to make a great film. 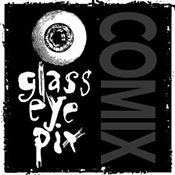 Since 1985, Glass Eye Pix has been producing great indie flicks by auteur directors, especially young horror directors. 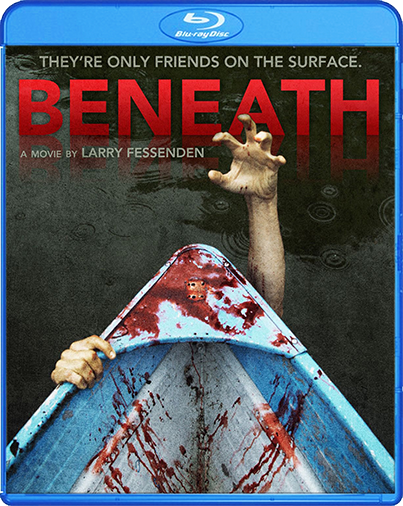 In short, Larry Fessenden is doing God’s Work. I could go on, but you get the point. This man is essential to modern horror. Although none of his directorial efforts has reached classic status yet, let me highlight a few of them, because each and every one (that I’ve seen) is a standout. 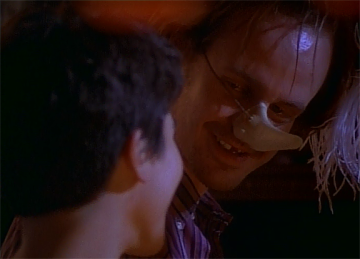 Behold a young Larry Fessenden at a Halloween party dressed as Cyrano de Bergerac. If he looks drunk, it’s only beacuse he’s drunk. Here’s Larry on his way to the Halloween party. Yes, he’s got a drinking problem. His father has recently passed away, and he’s taking it a bit hard. Not only that, he’s got to give an acceptance speech for an award his father won, but didn’t live to receive. 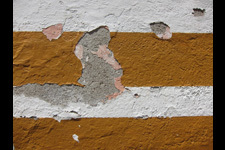 The beauty of Habit is that it is so character-driven that the horror element is almost unnecessary. To me, that’s the mark of a well-crafted horror film. Are the characters compelling enough that you could take away the horror element and you’d still have enough to base a movie on. Habit is a story of newfound love in a particularly difficult time in one man’s life. It’s also a vampire movie. I can’t say that the vampire element is necessarily used to explore a larger theme, but it’s a hell of a great vampire film. 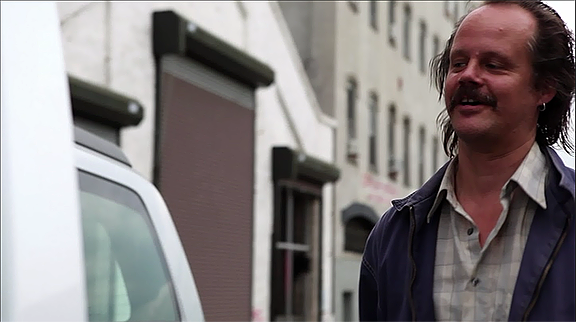 And it’s one of the rare instances in which Fessenden plays the lead character. And he’s great. He’s got a slovenly charm about him that makes you understand why the vampire character is fascinated by him. Watching Habit, it’s difficult to understand why he didn’t become a more prominent actor. Dude’s got the goods. I don’t know about you, but I’ve always been fascinated by the legend of the Wendigo. It’s a dark spirit that was said by the Algonquians to represent the balance of nature, and to induce a madness in people that led to them indulging in cannibalism. Like Habit, Wendigo is a character-driven tale with a family at its heart. Kim and George and their son Miles take a trip out to an isolated cabin belonging to a family friend. On the way there, they hit a deer with their car. A group of hunters springs out of the woods, angry because they’d been tracking the wounded animal for hours, and further angered by the fact the the impact of the crash has cracked one of the antlers, making it less valuable. The family’s weekend is marked by aggression from the psycho hunters, and by something darker in the woods. Wendigo is a micro-budget masterpiece by a filmmaker unconcerned with fame and money. This is a labor of love, and it shows. Larry seems to have thing for snowy environments. Wendigo, The Last Winter, and Beneath all take place in cold climes. But The Last Winter is where the weather acts as a major character. 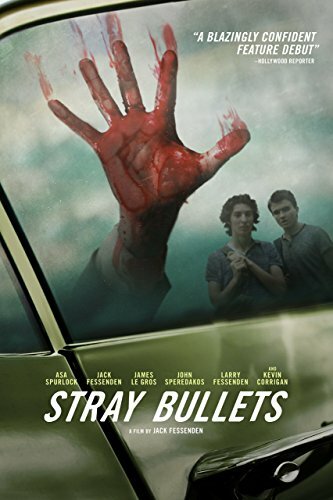 The film concerns a group of oil scouts in Alaska who have been forced to take on an environmental scientist who must assess possible environmental impacts of their operation. Needless to say, weird stuff starts happening. One of the young crew members goes missing, and leaves behind a video of him talking crazy and venturing naked out into the arctic landscape. On the tape are mysterious shape that can’t be explained. The Last Winter is, as far as I know, the first environmental horror movie. It tackles the question (as does Wendigo, to a lesser extent) how does nature fight back when humans violate its balance? Full disclosure: I haven’t yet seen Fessenden’s two newest movies. 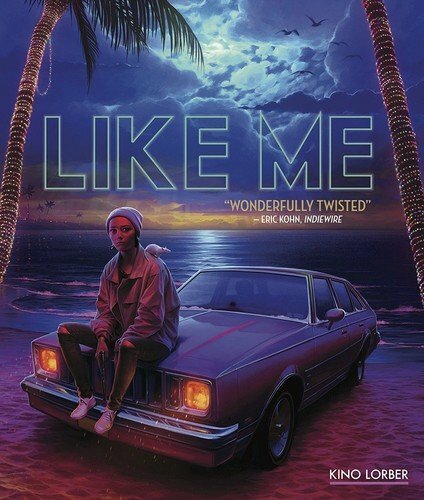 But I would heartily recommend each of the films highlighted here, plus Bitter Feast (a tale of a celebrity chef seeking revenge on his fiercest critic) and You’re Next! 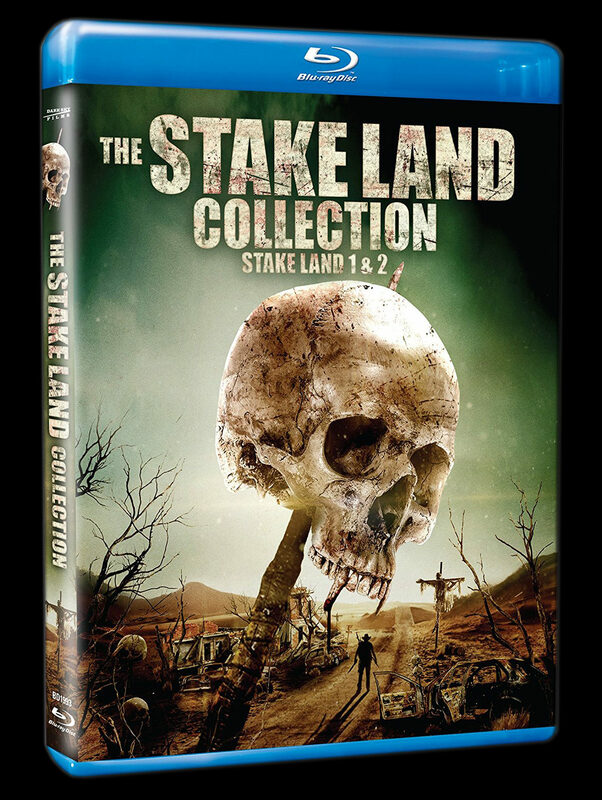 (If you haven’t seen this, don’t call yourself a horror fan until the situation is remedied). 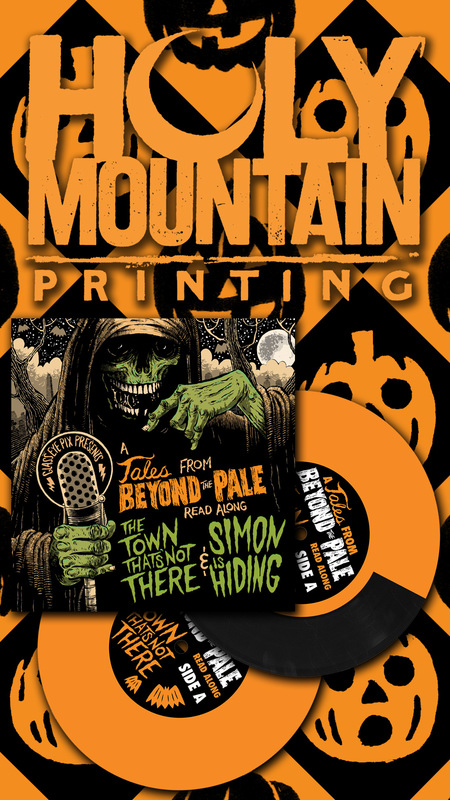 And on one last note, if you’re still unconvinced of Larry Fessenden’s awesomeness, he also produces a web-based horror-themed radio drama series named Tales From Beyond the Pale. If any of you are into Arch Oboler’s Lights Out or the old Rod Serling radio plays, Fessenden is the man bring that stuff back. Each episode boasts a celebrity cast and a name author. Sir Lawrence, you just put everyone else to shame.